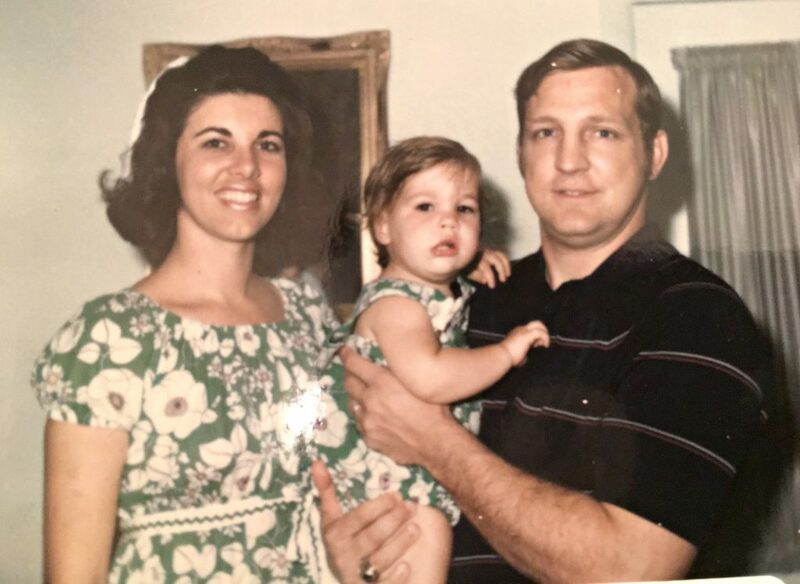 On July 9th 1970, Wanda Loving became my mother. My adventures with her started shortly thereafter. My mother is wild. By wild, I do not mean anything nefarious. I am talking about someone who is untamed and unapologetically herself. Wanda was a natural champion of body confidence before anyone ever talked about body confidence. She has been known to go skinny dipping in the ocean when the moon is full with friends or with my father when he is lucky. Wanda would strut around our house in her birthday suit searching for different pieces of her outfit or her hair dryer when she was getting ready to go out on the town with my dad. I never saw her even once look for a towel to cover herself. 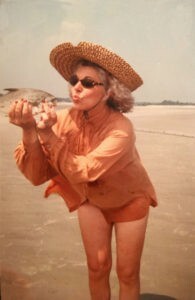 As a child, I remember her mowing our grass wearing a bikini (70's halter style). One of my Dad's friends would tease him about it. He suggested that my dad should stand in the driveway and sell looks for a dollar while Wanda cut the lawn. In addition to her beauty, Wanda has iconic style. She never looked like other moms. Even if she were wearing the same clothes, Wanda always styled them in a way uniquely her own. Wanda is fearless in her ability to be herself in a conservative culture and taught me to do the same. My mother made many of her own clothes and mine for most of my childhood. I was the lucky winner of my own private couturier. 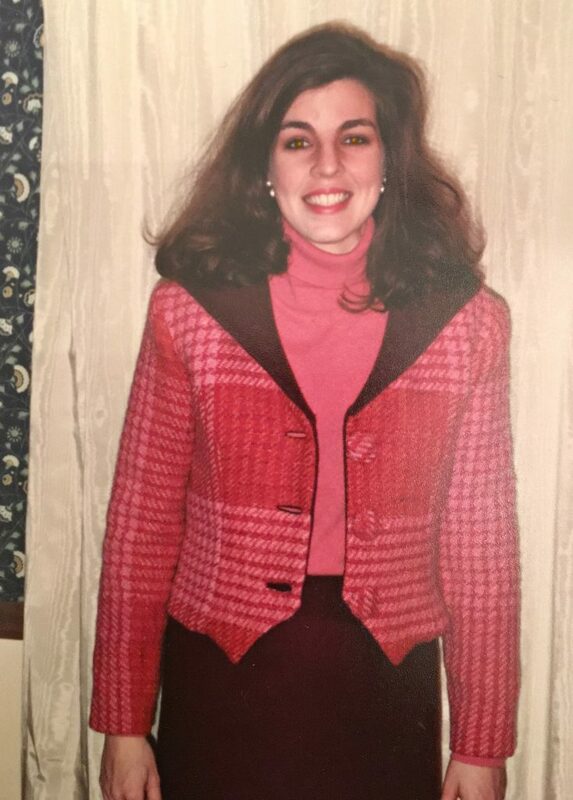 In high school, I would pluck outfits from the pages of Seventeen and my mother would make them. To my first job interview, I wore a suit made of fabric that I wove myself and it was cut from a pattern designed by my mother based on pictures I had shown her from a magazine. I didn’t get the job, but I looked like a moving work of art during my first interview in New York City. When I was in first grade, my mother had a pink robe that she wore every morning. She was famous for it. It was a full length, long sleeved, zip to the top furry monstrosity. This robe could have been a character on the muppets had it needed a career. It covered everything from head to toe and would be hideous on just about any other human being. On Wanda, it was a flirty fashion statement adored by her fans. My mother would wear this robe confidently as she walked me to the school bus stop each morning. On occasion, we were late. One particular instance, the bus had just pulled away as we arrived. Wanda chased it down the street in her pink robe. The bus stopped. I got on. The bus driver looked at me and said, “I love your mother.” One morning, we missed the bus entirely. 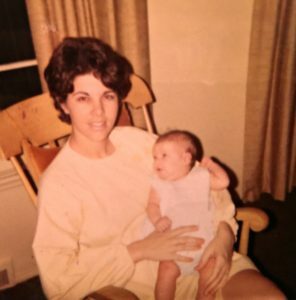 My mother put me in the back seat of our 1970 olive green Ford LTD and drove me to school as she sipped her coffee out of an olive green ceramic mug she had made. We didn’t get very far before we ran out of gas. The car stopped dead. I was scared. My mom said a cussword. We were in a neighborhood about 1½ miles from the school. There was an elderly gentleman in his front yard close by. She simply rolled down her window and waved with her pink furry arm and said, “We’ve run out of gas.” Like magic, this man went straight to his garage and got a gas can that just happened to be full of gas. He put the gas in our car. She thanked him and just like that, we were on our way to school. When I was in high school, Wanda trained for and ran a marathon to celebrate her 40th birthday. Running marathons was not the norm in Fayetteville, Georgia in 1985. People I didn’t even really know would come up to me at school or in the grocery store and say, “I saw your mom running on Highway 85 far away, near Riverdale. I tried to give her a ride, but she said she didn’t need one.” They were genuinely concerned. Around this same time in her life, she also learned to swim for the first time because she was interested in Marine biology. She proceeded to go on a snorkeling trip to Andros Island in the Bahamas to study sea life. 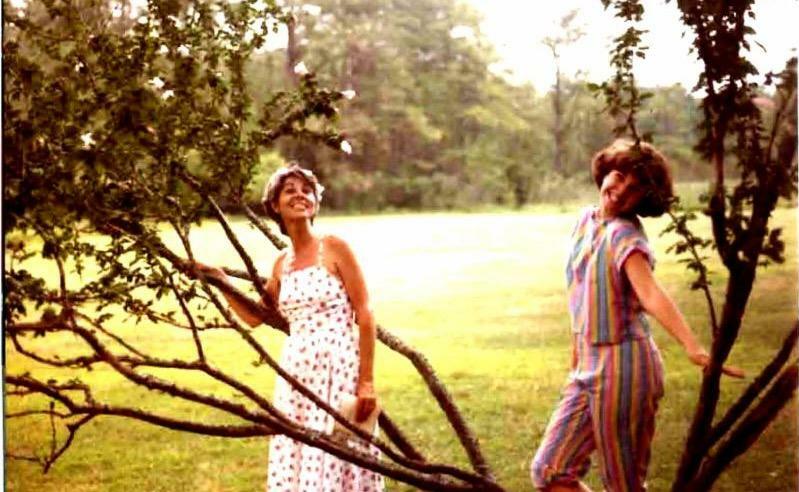 On the trip she attended lectures by Jean Michel Cousteau (Jacques Cousteau’s son) and activist/author Marjorie Stoneman Douglas. Adventure could even find Wanda in our backyard. While exercising her green thumb one afternoon, Wanda came face to face with a Copperhead snake. My mother has a very distinctive girlie scream. All who know her have heard it. First, we heard screaming. “Whooo ! Whooo! Whooo!“ Next, we saw Wanda chopping at something feverishly with her hoe. Wanda 1 Snake 0. As a child and even now, I can’t think of a thing she cannot do. 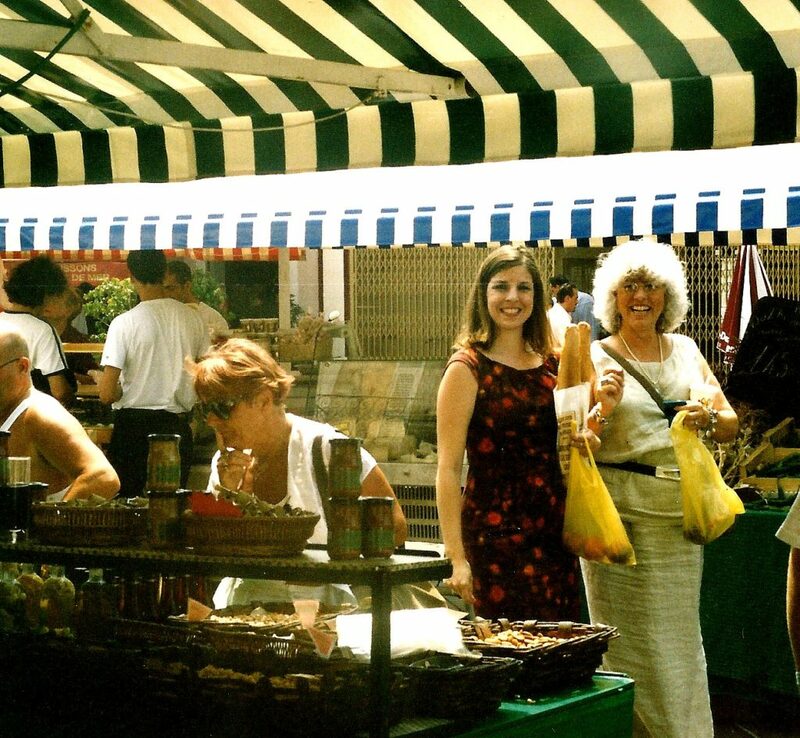 When I lived in France in my twenties, my parents came to visit a few times a year. My mother didn’t speak a word of French outside of the usual pleasantries. Anyone who has ever visited France can tell you that France has its rules. The general public follows them and they expect you to follow them. C’est pas possible (It’s not possible) is a common phrase you might hear when requesting something outside of the rulebook. Wanda both embarrassed and amazed me simultaneously on her ability to get French people to do whatever she wanted. First, she managed to get a waiter to bring her a cappuccino before dinner. This is basically forbidden in France. Coffee comes at the end of the meal and no one in the country has cappuccino after breakfast. Rules were broken for Wanda again and again. Next, while eating at a restaurant in Nice, she asked for ice in her drink. I froze because I had experienced so many snippy remarks from waiters when asking for ice. Waiter’s would say things like, “Your drink is cold” and walk away. Our waiter brought my mother one cube of ice on a tray and carefully placed it in her drink. You have to understand that this wasn’t rude or funny from his perspective. French people seriously believe that one cube of ice qualifies as “ice in your drink”. What happened next was pure genius. My mother just looked at him without missing a beat and said, “Merci beacoup. Can you please bring me six more cubes.” He did. While shopping at a fancy store in Cannes, my mother was talking away to the sales attendant who didn’t speak a word of English. The girl looked at me and said in French some version of , “I have no idea what your mother is saying, but she is adorable.” Say what you will about the French and their rules, but they respect authenticity when they see it. My mother was a school teacher for her entire career. She won teacher of the year more times than you can count. My brother and I grew up hearing story after story from colleagues, parents and students about what a wonderful teacher she is. Although I think she loved teaching, she always stressed to my brother and especially to me that we could be anything we wanted. She told me many times that when she was in college women only had a few choices for a career and that I was lucky. I could be anything. I took her at her word. 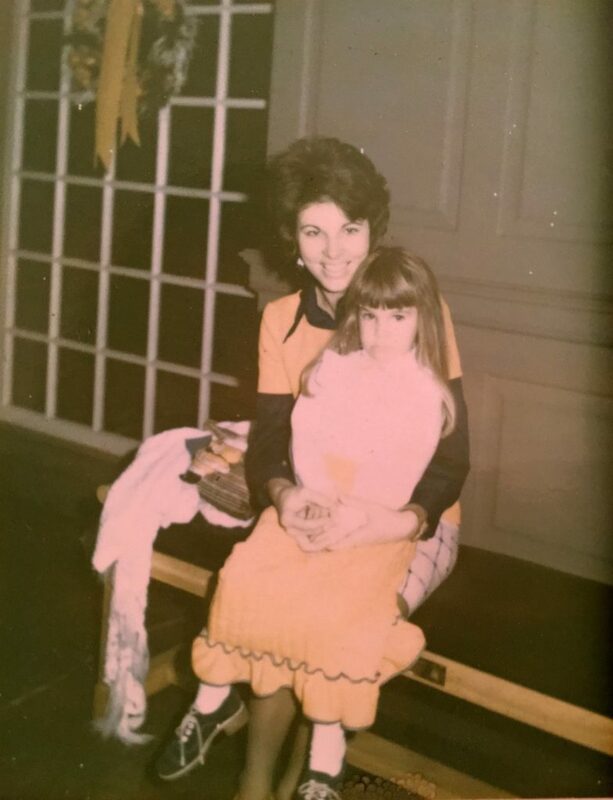 Happy Mother’s Day to the wonderful teacher who showed me the power of being both feminine and fierce. I am forever equipped with Wanda’s tool kit to a happy life with lessons on the importance of being wild, how to get what you want without being a jerk and living your life with style and joy! Laura, without exception, I love all of your stories. Thanks for this. What a great story! I know your mother is proud that you would take the time to be so appreciative and descriptive of growing up with a wonderful mom. I know I would be. Happy Mother’s Day! Melinda – Thanks for reading! Hope you are well! what an awesome story to tell today…or any day for that matter – love it!!! Happy Mother’s Day to you and Wanda! Thanks Paula! I love the magazine cover of you and your mother! So cool! Awesome Post! Mom remembers the pink robe! O h this was wonderful I loved those memories. I can just see you and your Mom through all these adventures. Sue – Thanks so much for reading. Hope you are doing well! U rule! Laugh out loud funny! Love your stories! Genevieve – Thanks for reading! Happy Mother’s Day! I have so many fond memories of Wanda and her uninhibited adventures. I still think her of a model of how to “be yourself “. What a wonderful tribute. Dana – Thanks so much for reading! Happy Mother’s Day and Happy Early Birthday! What a great Mother’s Day recounting of life with your fabulous Mom. I’ve had the privelge of meeting Wanda a few memorable times & will forever be a fan. Happy Mother’s Day, Laura and Wanda, with lots of love from way out West. Thanks Barry! We hope to see you some time in the near future. Hope you guys have a great Mother’s Day! Hello to the Family! OMG……I laughed……I cried…..I gave all characters in the story a standing ovation! But most especially the mother/daughter duo I have known for many years and admired up close and far away!! 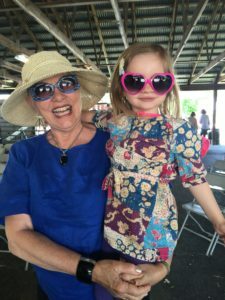 Jo Ann – Happy Mother’s Day to you! Hope it’s a good one. Thanks so much for being such a loyal reader. Rock it in the ATL! What a wonderful tribute to your mom. Hope to see your parents when they are in NYC. Have a great day! Laura, I already knew that Wanda is amazing and a force to be reckoned with, so I really enjoyed learning a little bit more about her! Happy Mother’s Day to you, too! Hey Carol! Thanks for reading! Laura, what a delightful story. Really enjoyed it. Rachel – Great to hear from you. Thanks for reading my blog! Darian – thanks for reading! Happy almost summer and a belated Happy Mother’s Day! Hey Jennie! Thanks for reading. Hope you are doing well. Howdy Fran! Thanks for reading. Hope you guys are gearing up for a great summer! Out of nowhere I wondered how Ms. Loving was doing. I searched “Wanda Rose Loving” and stumbled across this! She was my 5th grade teacher at Church Street Elementary. She was my favorite teacher of all time. 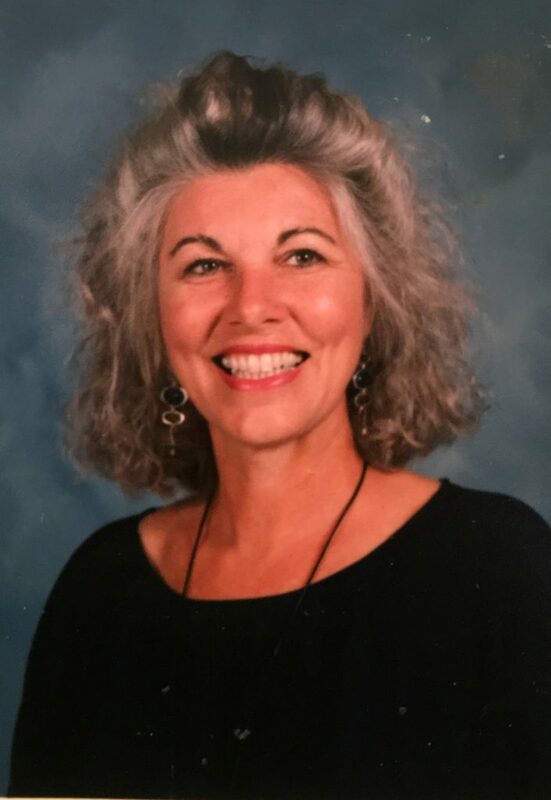 She was more than a teacher. She welcomed us into her home. I can’t recall if you all lived near water, but I remember her showing us a beaver claw bone and I was in awe of how cool I thought your home was. She definitely had her own unique style. Her love of biology spilled over into our class. She directed and I starred in Willa and the Wetlands and our class supported the Reynold’s Nature Preserve. Your mother is the best. Beautifully written. If you read this, please tell her I said hello and I love her! I laughed and cried through these beautiful , true, memories of your Mother, Wanda Rose Loving!!! To me, she was the most fun and loving best friend anyone could have!!!! She motivated me and cried with me as well as shared in my joys! She is one of a kind, genuine and creative! We need more Wanda Rose’s!!! Today , there is just one!